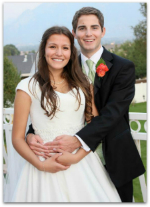 Come and see one of the top Utah reception centers today! Now is your chance to experience the charm and beauty of Magnolia Grove for yourself. The best way to decide if Magnolia Grove is the right choice for your wedding, corporate event, or special occasion is to take a tour of our elegant reception venue. Enter your information for your personal tour? "Our hostess was wonderful! She made sure everything that we needed was ready and helped us through out the night, and was always available and ready to help. When my mom got nervous she helped her out and calmed her nerves so easily. She really knew what was going on. Thank you Magnolia Grove for making our special day so perfect! Thank you for sharing our sweet beginning." 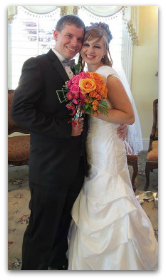 "My husband and I would just like to thank Magnolia Grove Reception Center for making our dream wedding come to life. Everything was absolutely perfect. The food was excellent and there was plenty of it. The staff was amazing; they took care of our every need no matter what it was. The grounds were beautiful. We have been talking since our wedding and the only disappointment was that there wasn't enough time in the day to enjoy it all. We would do it again in a heartbeat." "I am the owner of Sunshine Square Preschool in Riverton and West Jordan. I just have to tell you that Magnolia Grove is the most incredible, magical, wonderful place for gathering people together! I thought it was just for wedding receptions, but when I investigated the possibility of having my preschool programs at Magnolia Grove, I was pleasantly surprised to find out that they are happy to help with school programs, parties, anniversaries, and family gatherings. 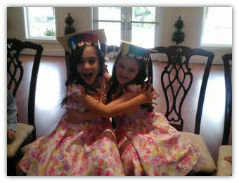 For the past several years we have held our Preschool Graduation program at Magnolia Grove. With students, parents, siblings, grandparents, relatives, and friends, we have close to 150 people attending. Magnolia Grove is the perfect place for our program. They set up the nice white folding chairs, sound system, backdrop, AND the outside garden area is ideal for mingling after the program. I just can't say enough about this first-class, top-notch, professional facility. Each year, everyone in attendance raves about how nice it is to come to a place that has ample and convenient parking outside and is clean, comfortable, and inviting inside. I recommend this place to EVERYONE! It's the best!"